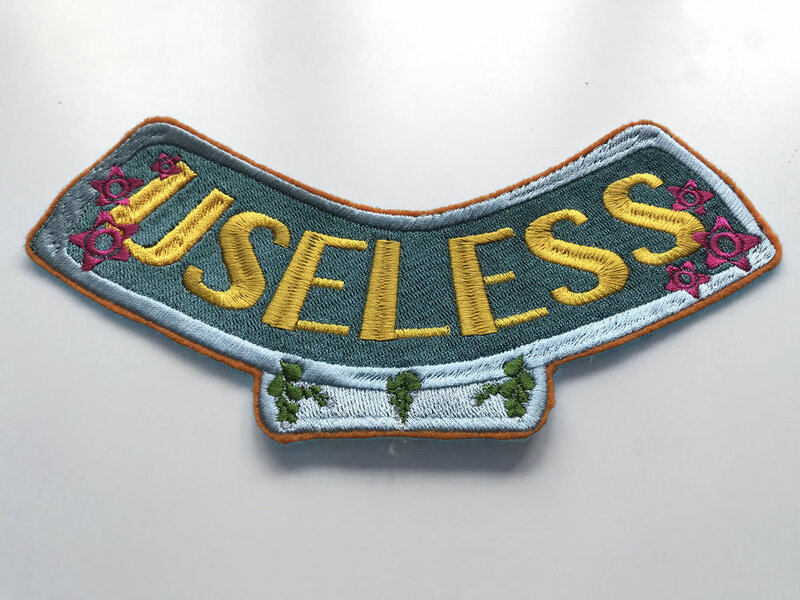 The Union for the Useless asks whether by embracing a maligned identity, rather than distancing ourselves from it, some kind of community and self acceptance might be found. Let's laugh over and at the abyss of horror. 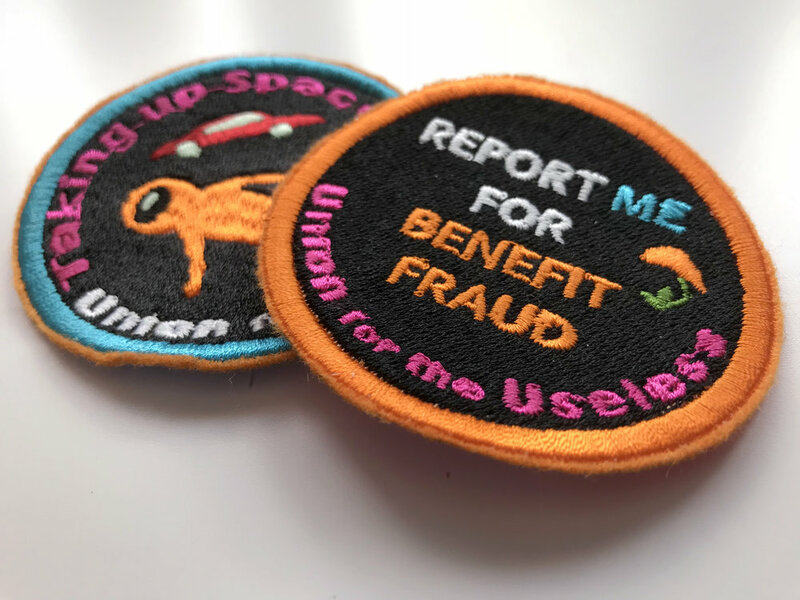 If you would be interested and want more information on the patches, please send me an email at lauradaisycowley.art@gmail.com.